The Samurai Kembu Theater is a wonderful cultural attraction in the heart of Kyoto where visitors can experience the art of Kembu. This martial art combines dance with sword play for a unique style of performance. Every day, there are shows and lessons which allow tourists to get closer to the local culture and to experience authentic Japanese heritage. Each performance helps to educate the spectators, with explanations about the history of the Samurai and the origins of the dances. 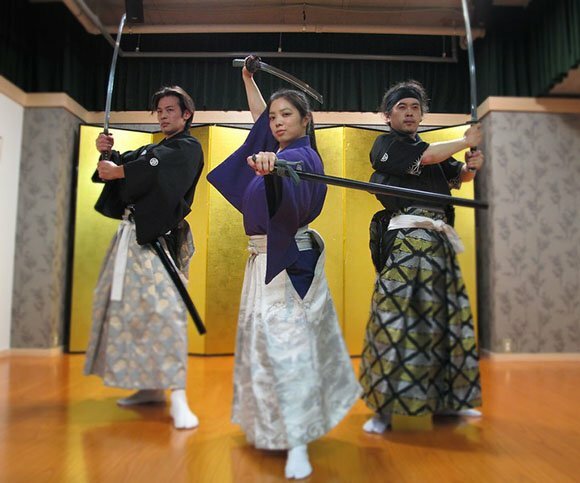 There are also traditional fan dances and lessons in etiquette and sword moves. The Samurai Kembu Kyoto theater experience is ideal for tourists of all ages, and is even suitable for children thanks to its engaging and immersive nature. There is a comprehensive program of entertainment and classes, from simple one hour lessons and the chance to dress in traditional Samurai dress for photographs up to more detailed longer programs which last up to 2 weeks for those who have longer to spend in Kyoto. For those who simply want to watch the show, there is a one hour performance performed by masters of the art and which can give spectators a flavor and an insight into the cultural heritage of Japan.